Urban mobility will, without doubt, be one of the main challenges for our cities in the future. A gentle cable car revolution is underway, which is changing the way we see and use the city. 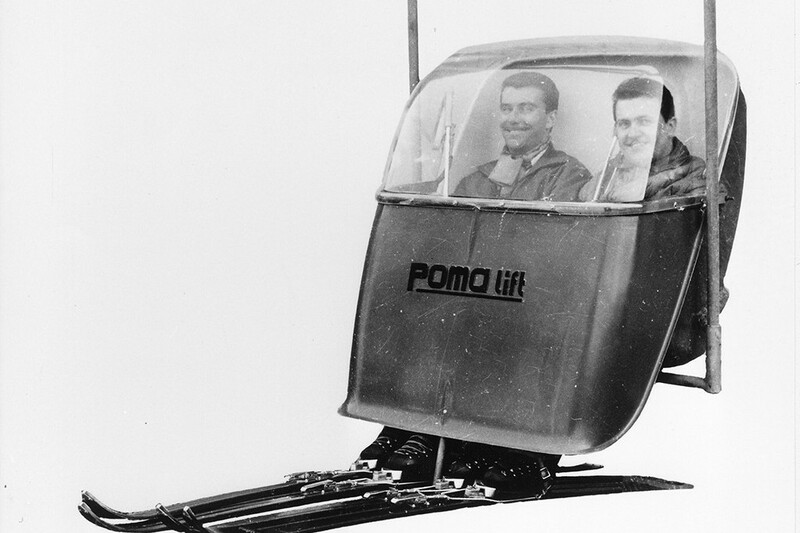 Cocorico, world leader in cable cars and part of the POMA group, is French. The Urban Design Observatory met Jean Souchal, the Chairman of the Management Board. Jean Souchal, for a long time, cable cars have been associated with skiing and the mountains. Yet, recently they have started to find a place in cities. Is this mode of transport seeing a complete transformation? This is all relative. Looking at history, in the Austria and Italy cable cars were largely used for military purposes in the 19th century. This very French vision that associates the cable car with winter sports was born after the Winter Olympics in Chamonix when many cable cars, ski lifts and chair lifts were built. At the beginning of the 20th century, France had more than a hundred cable cars most of which were found in urban areas. Rather than being a transformation, it is a change of direction that puts the cable car back in its urban context. In France, key urban transport companies have taken a very belated interest in cable cars. Can we refer to a “backwardness” in this domain? There are two ways of seeing things. In terms of the industry, France is at the forefront of the technologies involved. We are a world leader and POMA exports its expertise throughout the world. In terms of usage, things are very different. 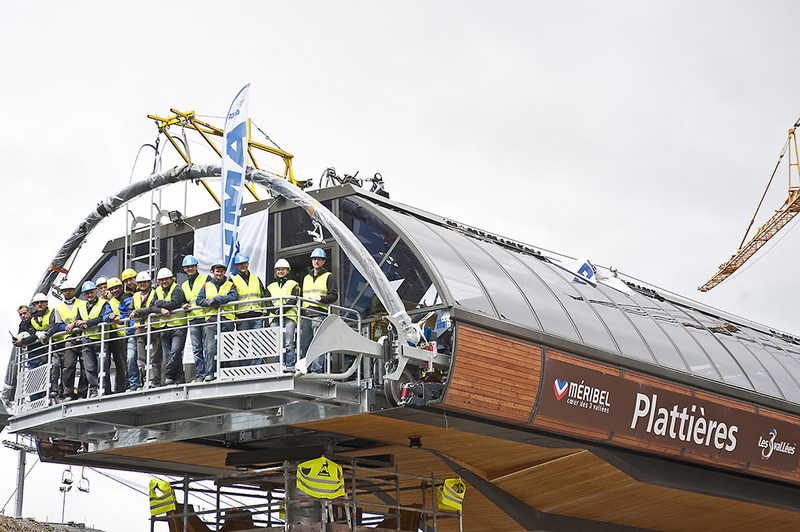 We are at a vital stage in the history of cable cars – many projects are underway in French cities including Brest, Toulouse and Limeil-Brevannes. This is a period of maturity for France. What are the advantages of cables cars for urban mobility? Let’s start with the practical side. Cable cars solve problems that are impossible to resolve using other forms of transport. It’s the ideal solution when there are hills or changes in level. In this context, we refer to the “last kilometre” – the idea being to complement other forms of transport to help complete the final stage of the journey (e.g. between the car park and the station). This final stage may be impossible using classic forms of transport, especially if there is running water to cross. This is where we come in. This is also an eco-responsible form of transport as it leaves a limited ecological footprint and pollutes very little. It’s also economical as it helps make significant savings. Another advantage is that it can be developed in just a couple of months, which can save a lot of time and limits the disruption caused by the building works. Could you give me some examples of successful projects? 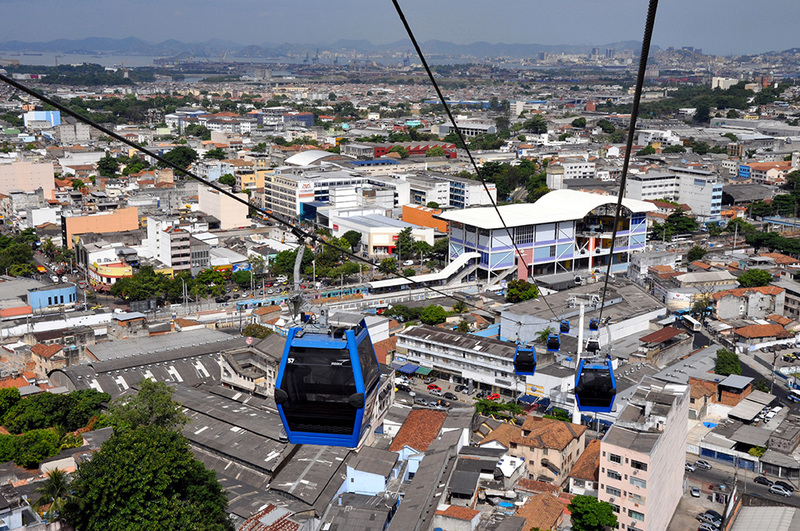 POMA’s most iconic projects include the cable car in Rio that enables isolated populations to access the city centre. In the Colombian city of Medellín, a cable car allow inhabitants to travel into the centre (this used to involve a two hour walk as there were no other forms of transport). 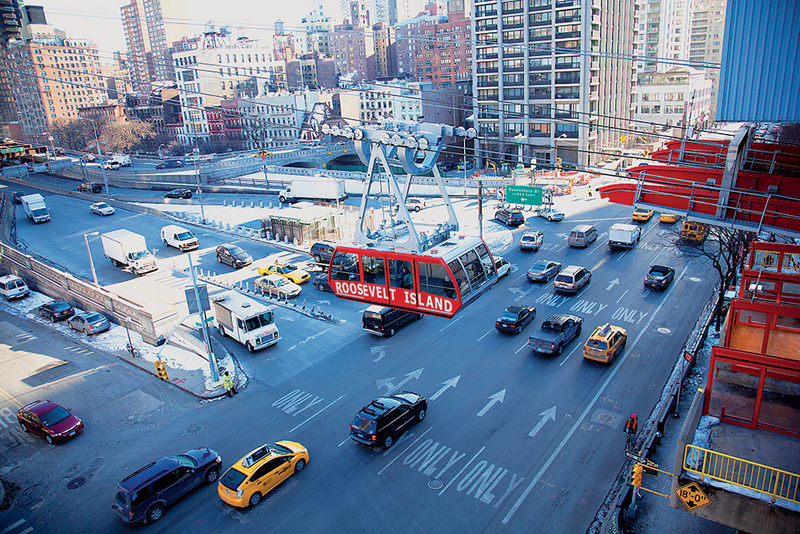 In New York, there has long been a cable car linking Roosevelt Island to Manhattan, which we renovated in 2010. Inhabitants are very fond of this mode of transport that allows them to see the city “from above” and embark on a “very enjoyable journey”. It is also very reliable. During the last hurricane, the cable car was the last kind of transport to stop working and the first to start up again. The POMA group is implanted across the globe. Is the cable car a transversal link that will provide architectural unity to the cities of tomorrow? One things for certain, the future of our cities will be built in 3D. The ground is saturated and we can no longer construct underground – mobility will go up towards the sky. Urbanisation is taking place across the world and will, without doubt, require the construction of cable cars in the future. We adapt to the unique elements of each city – every project is unique and meets very specific criteria. This adaptability is possible thanks to the efficiency of French engineering. Cable cars seem to be an important tool for accessibility. We need to make cities accessible to the whole population and also make transport easy to access for people with limited mobility. How to your position yourself with regards to this? Accessibility is at the heart of our concerns and something we systematically incorporate in each project. Finished projects show that cable cars make cities accessible to marginalised or isolated groups and individuals. 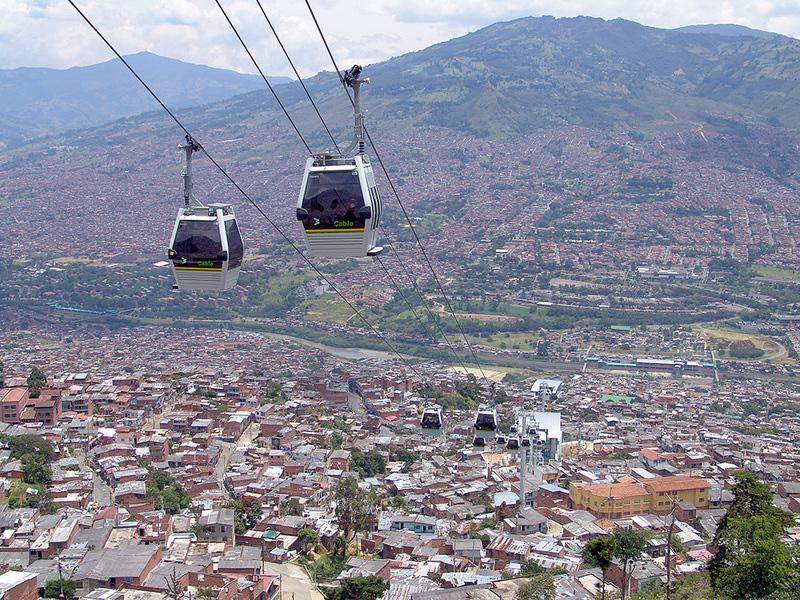 In Medellín, Colombia, more than a million people use the cable car each month. The benefits are social and economic. We discovered that the installation of the structure has had a positive impact on shop sales in the city. Access for handicapped individuals is also very important and there are numerous technical solutions to make this easier. To conclude, let’s talk about the image of the cable car. At the moment, it is seen as a very desirable object. Is this the novelty effect or rather the fact that it is associated with leisure activities? Cable cars are making their mark in France and transport companies need to explain the different advantages. Many have fought to construct a “gadget” image, particularly in Toulouse. The STIF also highlights that this is not just a whim, but a real opportunity to enhance urban mobility. 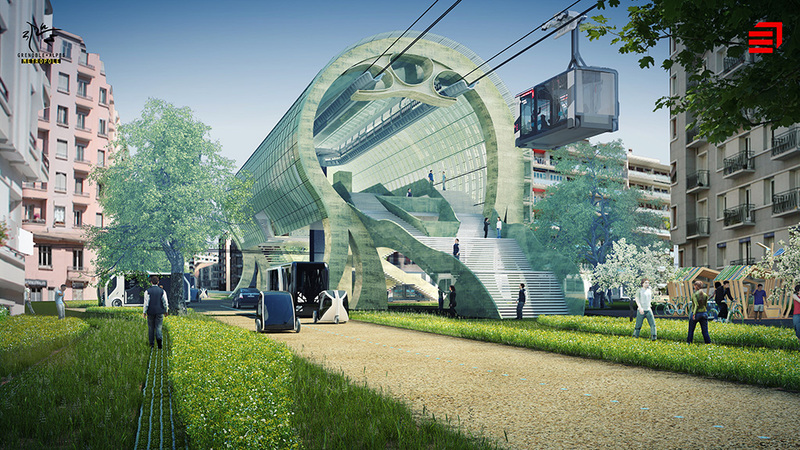 Cable cars help complement existing transport systems in create a kind of “multi-mobility”. I often compare the cable car to the tramway, which also had its hour of glory several decades ago and is being rediscovered today. For the tramway, the change took place in the 80s and today it has carved a space for itself in our cities. In a recent interview, you talked about poetry in relation to this form of transport. There is definitely something rather poetic about flying over a city, being able travel whilst observing what’s going on around you. People who use this mode of transport are often very attached to it. There is also a “cocoon” effect – being in a bubble creates a sense of security and offers a moment of pause suspended above the city.